A Full Page OCR Solution for Easy Text Reading! 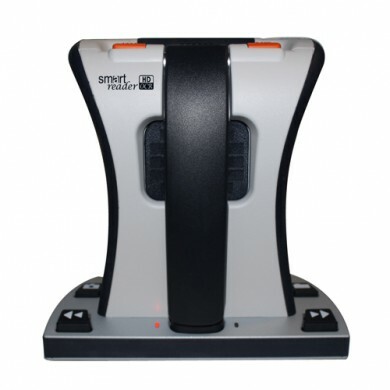 The Smart Reader HD is a lightweight, portable reader/scanner with large built-in user friendly tactile control buttons. A fully integrated solution, the Smart Reader HD offers the advantage of a built-in HD camera and OCR (optical character recognition). Smart Reader HD enables individuals with low vision to retain the pleasure of reading by listening along or by attaching a monitor to view the text. Users are able to view in color, enhanced high-contrast positive or negative modes, allowing for higher contrasts and easier viewing. With easy-to-use buttons and dials, customers can enlarge or reduce the text in seconds and change viewing options for easier visibility. Ideal for reading magazines, books, newspapers, etc.